TO ALL FASHION-SAVVY WOMEN OUT THERE, THIS BLOG IS FOR YOU!! Kate Spade, Badgley Mischka, Michael Kors, BCBG MaxAzaria, Rafe, CC Skye and many more!! These luxurious brands are masterpieces inspired by and gracing the arms of many famous celebrities and personalities. 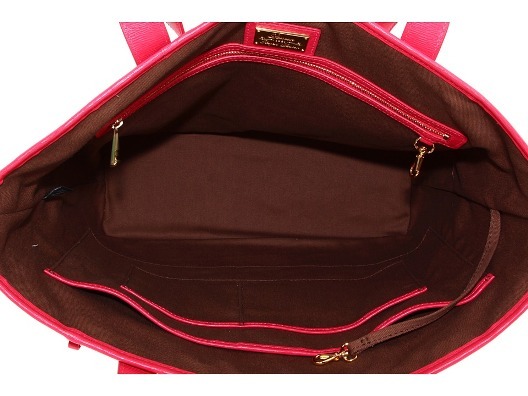 However, the prices of such bags offered at their exclusive boutiques are often exorbitant. So what is the next best option? Online shopping! 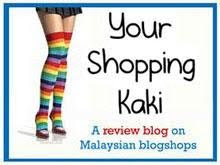 Having said that, this blog is for the very fashion savvy and the well-travelled who are familiar with brands, which may be relatively unknown to many Malaysians, but are established and reputable especially in the US. 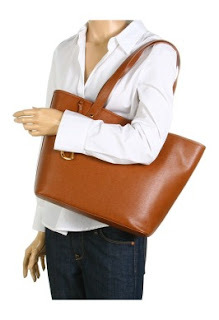 If you find something you like here or wish for other bags, just email us the details (including the link of the specific item, and/or a photo with complete details including Product ID or Style #, Price, Color, etc.) and we will take it from there. Shop confidently because we GUARANTEE AUTHENTICITY or your money back! We only offer merchandise that have received good reviews. We do not sell replicas/fakes because we strive only for excellence in order to establish long term business. All our merchandise are bought only from reputable US stores or outlets with receipts and tags. They are inspected for flaws before delivery right to your door-step. Best of all, with all these, you will still be paying way below retail prices! 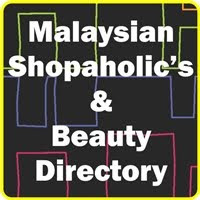 Whether you are a designer handbag lady or a trend-setter who loves to shop for fabulous steals - this blog is for you! For more shopping pleasure, you will occassionally find also interesting accessories - wallets, watches, bracelets, scarves, etc. 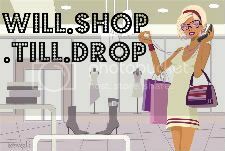 Happy shopping and I dare you to be different with these must-have styles!! 1) We guarantee authenticity or your money back of all our merchandise because they are bought from reputable USA stores and are brand new with tags. Please feel free to verify our bags at the local boutiques. 2) We provide you with stress-free purchase. Only merchandise receiving good reviews are offered. We inspect the item before shipping to you. Prices are nett with delivery to your door-step. You don't have to worry about shipping, customs clearance and taxes. 3) We source for the best deal available so that shopping will not be painful on your wallet. 4) Furthermore, payment by installments (2 months) will also be considered. 5) You purchase only when you are happy with our prices, which are certainly cheaper than retail. 6) We ship worldwide and payment is accepted via Paypal (additional surcharge applies). For international buyers, please email us your exact location and we will quote you accordingly. We are committed and will strive to make your every purchase special. Exuding rich heritage character with chic equestrian touches, the spacious Newbury tote is rendered in sumptuous textured leather for modern, versatile style. 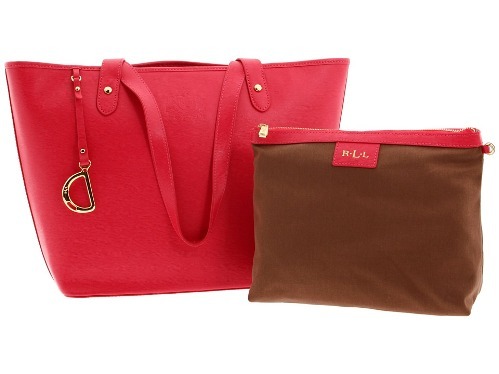 Embossed with a heritage-infused logo at the front, the market tote from Lauren by Ralph Lauren is designed from soft cowhide leather and finished with polished metal hardware and plenty of functional pockets. 75% OFF! 3 DAYS ONLY AT KATE SPADE! SALE ENDS ON 8TH MARCH! HURRY!! Check out the great Sale at NORDSTROM! Bryce Dallas Howard with KATE SPADE's Camille bag. Iman and Isla Fisher wearing TORY BURCH handbags. Renée Zellweger, Mary-Kate Olsen, Penelope Cruz, Rumer Willis with their BOTTEGA VENETA handbags. Receive latest updates from us! Decorate your home with beautiful collectible China from Europe! I AM NOT AN AUTHORIZED DEALER OR ASSOCIATE OF ANY OF THE DESIGNERS, BRANDS OR MANUFACTURERS THAT ARE OFFERED ON MY WEBSITE. ALL TRADEMARKS, BRAND NAMES AND LOGOS MENTIONED ARE USED FOR IDENTIFICATION PURPOSES ONLY AND ARE REGISTERED TRADEMARKS OF THEIR RESPECTIVE OWNERS WHO RESERVE THE RIGHTS OF OWNERSHIP. ALL IMAGES SHOWN ON THIS WEBSITE, IF NOT TAKEN BY ME, ARE COPYRIGHT OF THEIR RESPECTIVE OWNERS.